This morning, NIS America uploaded a new trailer for Labyrinth of Refrain: Coven of Dusk, heading to Nintendo Switch later this year. The trailer showcases the various characters you’ll meet while playing Labyrinth of Refrain: Coven of Dusk. A closer look into the mysterious Dronya, and the citizens of Refrain she encounters. In a seemingly peaceful little town, darkness and intrigue brew beneath the surface. Join Dusk Witch Dronya and her brigade of puppet soldiers as they explore a miasma-filled labyrinth. With the aid of the living book, the Tractatus de Monstrum, what will she and her coven discover? And what dangers lurk amidst the poisonous air that fills the unending maze? 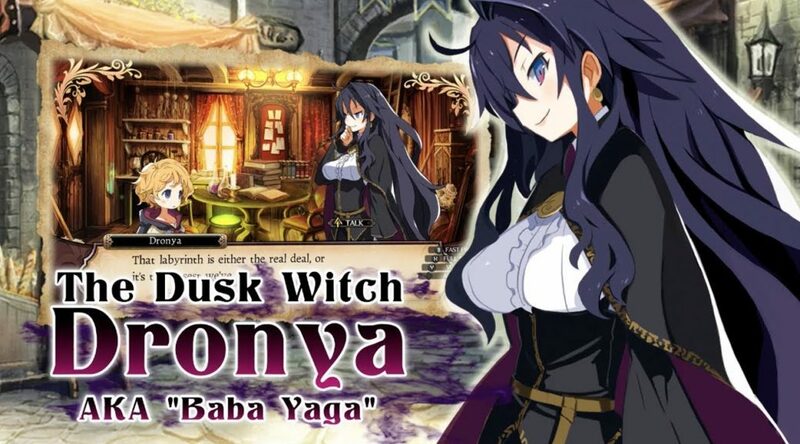 Enjoy a brand-new RPG experience in this highly-anticipated title from Nippon Ichi Software. Embark on a tale of a lifetime and uncover the truth behind the Labyrinth of Refrain.